Romania’s National Day marks the country’s unification in 1918 and the formation of the Romanian state within its present-day boundaries. 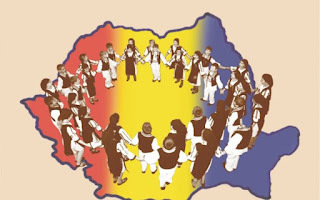 Romania’s full independence had been recognized in 1878 but it was not until December 1, 1918, in the city of Alba Iulia, when Romania – made of Moldova and Wallachia at the time – was united with Transylvania, Crisana, Banat and the Maramures area. National Day has been celebrated in Romania since 1990, after the fall of the Romanian Communist Party. December 1 is a free day in the country and in capital Bucharest it is usually celebrated with a military parade. Elsewhere in the country, various events are organized, commemorating the Romanians who died during the First World War. In recent years, various city halls have organized concerts to celebrate the day, turning this more into a popular celebration. The top musical in particular is incredibly lovely and moving. Congratulations on the special day and enjoy it! God, please , protect Romanians! They left to foreign countries to send bread to their children.! I hope you and your family have a wonderful National Day, Carmen. Thank you, Daisy, for your good wishes!